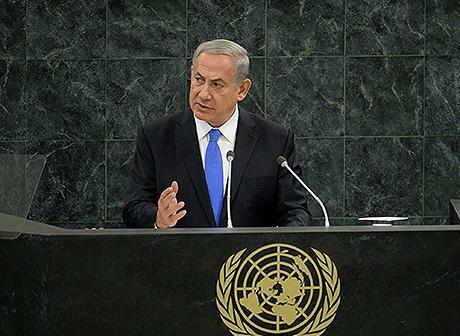 Prime Minister Binyamin Netanyahu did us proud when he addressed the United Nations General Assembly this week. 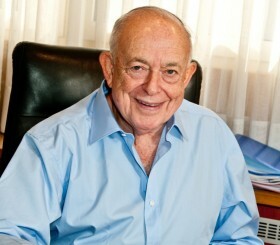 True to form he again employed his extraordinary communication skills to superbly present the case for Israel. He was focused, factual, logical and persuasive as he implored the US administration and world leaders not to be deluded by Iranian President Hasan Rouhani’s charm campaign. 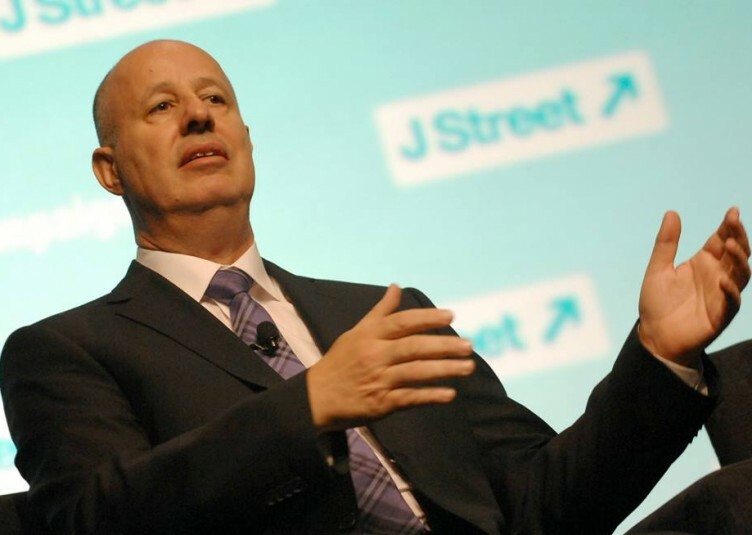 He interspersed his address with sensitive Jewish historical and biblical references – citing the Maccabees, the Prophets, Jewish powerlessness and pogroms and the determination of Jews to live in their own land. As a Jew and as an Israeli, I was proud to be represented by a leader presenting our case with such dignity and eloquence. Netanyahu neutralized the critics who accused him of opposing or “spoiling” diplomatic efforts. But he warned of the dangers of letting the duplicitous Iranians off the hook unless they genuinely abandoned their nuclear ambitions. He declared that the fate of the Jewish state would not replicate that of Czechoslovakia in 1938. In his words, Israel would “never acquiesce to nuclear arms in the hands of a rogue regime that repeatedly promises to wipe us off the map. Israel will not allow Iran to get nuclear weapons. 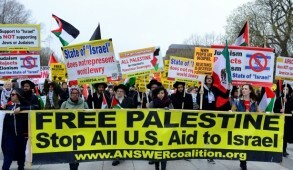 If Israel is forced to stand alone, Israel will stand alone”. His speech may well prove as prophetic as Churchill’s warnings about the Nazis. Unfortunately, but not surprisingly – other than to Israelis, Diaspora Jews and our close friends – Netanyahu’s words appear to have fallen on deaf ears. The applause at the conclusion of his address was noticeably muted, a predictable response from an international body which only hours after Netanyahu’s speech elected Iran as rapporteur for its Disarmament and International Security Committee. The attention of the US Congress is centered on the federal government lockdown. Besides, most Americans are weary of wars and have lost confidence in Obama’s leadership qualities, especially after his appalling handling of the Syrian issue. In general, world leaders are in denial and seek to avoid facing the Iranian nuclear threat and resist the possible need to resort to military action. In this as in many other issues, Israel remains ‘a nation that dwells alone’. In contrast, President Rouhani was practically embraced at the General Assembly and by the global media. He smiled and talked about diplomacy, with global leaders grasping his empty gestures and hailing his purported moderation, despite his public record of cheating and his blatant lies from the UNGA podium denying that Iran had ever sought to obtain the nuclear bomb. Aside from sweet words Rouhani made no concessions. The response to his glib assurances of Iran’s peaceful intentions was chillingly reminiscent to the behavior of world leaders following Chamberlain’s 1938 “peace in our time”. If only those world leaders were right. 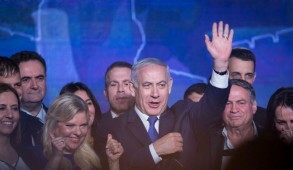 Israel, the nation on the frontlines, which Iran repeatedly describes as a cancer to be eliminated, would have the greatest cause to celebrate if diplomacy could persuade the Ayatollah Khomeini to abort his country’s nuclear ambitions. But as Netanyahu has so well-articulated at both the UN and elsewhere over the last several years, diplomacy alone will not suffice to stop the Iranians. Netanyahu can claim the credit for having persisted in a global campaign to warn the world of the dangers of Iran becoming a nuclear power. He has not been ‘warmongering’, as his critics accused, but facing reality as he urged world leaders to impose sanctions and threaten military action unless the centrifuges stop spinning. Netanyahu has left the door open to diplomacy. He simply reminded the US and the world of Rouhani’s duplicitous record, referring to him as “a wolf in sheep’s clothing”. He recalled that when Rouhani was Iran’s Chief National Security Adviser and Head Nuclear Negotiator between 2003 and 2005, he lied and stalled, and subsequently even boasted about his success in “creating a calm environment”. He occupied the role when Iran orchestrated the terrorist bombings of the Jewish Community Centre in Buenos Aires. Netanyahu has appropriately warned that unless there is a dramatic turnabout (which Rouhani has never intimated he would make), the Iranian strategy is to procrastinate with negotiations and con the US and euphoric global leaders into providing them the time required to achieve their objectives. As it now stands, the US has yet to receive an Iranian response to Obama’s efforts to “engage” and the delays could take us into 2014. Netanyahu reminded world leaders that this was precisely the route successfully travelled by the North Koreans who delayed and duped the US until they achieved their goal. 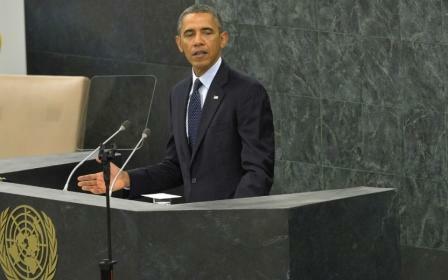 He warned that a nuclear Iran would be like “another 50 North Koreas”. Netanyahu also cautioned against “partial” solutions’ which Israel would not accept. He urged that until such time as an agreement is set in stone and implemented there should not be the slightest easing of sanctions which, if prematurely lifted, would be almost impossible to re-apply in the current climate. He also called for the imposition of strict deadlines and demands for total transparency in terms of implementation. President Obama has, in a sense, given a nod to Netanyahu’s demands. In a joint press conference prior to Netanyahu’s UN address, both parties took care to avoid recriminations or display tensions. In fact, Obama told Netanyahu what he sought to hear. He gave assurances that he was “very clear eyed” and that Rouhani’s charm offensive and nice words would not bring about an end to sanctions. He promised to implement “the highest standards of verification in order to provide the sort of sanctions relief they are looking for”. However, he declined to provide any assurance not to ease sanctions until the Iranians demonstrated that they had fully dismantled their nuclear weapons program. Yet, he made it clear that “as president of the United States… we take no options off the table including military options” – expressions he had not used in the course of his UN General Assembly address. Nevertheless, in light of Obama’s behavior over the past month and the virtual groveling to Rouhani, many will view his statement about the military option remaining on the table, as yet another hollow threat. 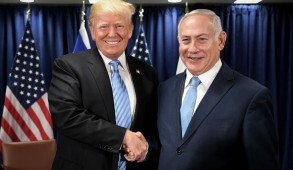 However, should Obama achieve a genuine resolution of the problem by diplomacy, Netanyahu and the people of Israel will be cheering him all the way. But we should not hold our breath. The odds of this happening are exceedingly remote. Netanyahu is also painfully aware that the Israeli military option is off the agenda as long as the US is engaged in diplomacy with the Iranians. 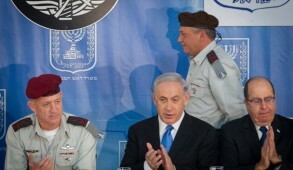 Israel therefore faces a daunting diplomatic and political challenge over the next few months. Our Prime Minister will once again be walking a tightrope and also facing increasing pressures to make further unilateral concessions toward the Palestinians – posing security risks for our future. Netanyahu’s challenge is to convey his message directly to Congress and the American people. He must continue on his mission and penetrate the American psyche until they accept that the threat Iran poses is real and immediate, and if left unchecked will allow history to repeat itself in a most terrible way.